Modular is excited to welcome critically acclaimed producer Dauwd (Technicolour / Kompakt). With his latest album, ‘Theory of Colours’ released Summer 2017, Dauwd transcends notions of genre. He weaves together a complex tapestry of sweet melody, lush textures, and pervasive rhythm to create a real journey of an album that defies convention and elevates the spirit. 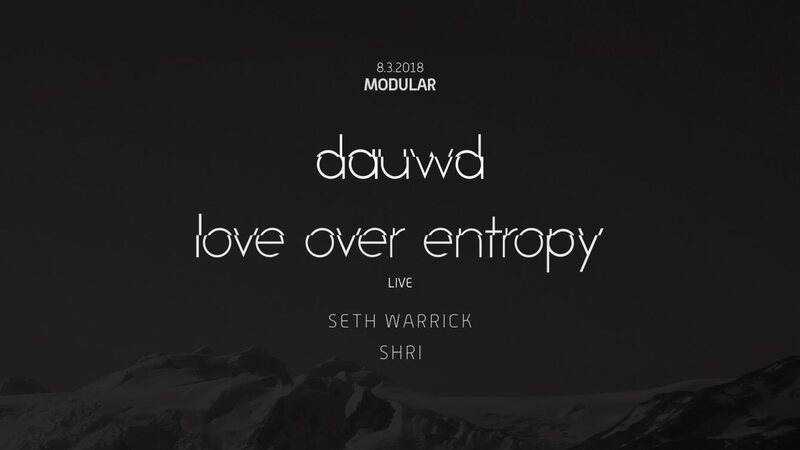 Co-Headlining the performance, Love Over Entropy debuts live for the first time in San Francisco. Love Over Entropy meticulously crafts his electronic sound world, blending slices of experimental IDM from the 90’s with otherworldly melodies and sounds of early techno visionaries. His music is hypnotic, atmospheric, and soulful, with plenty of space for chaos and chance.